Visiting London? You’re in good company, it’s the most visited city in the world (at least in terms of international visitors). 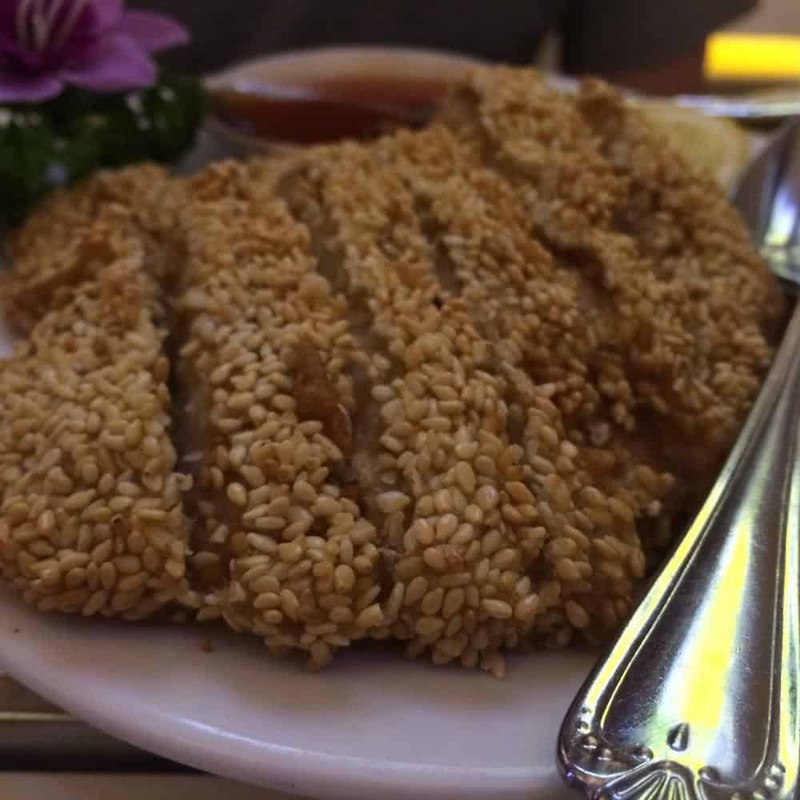 Looking for where to eat as a vegan? 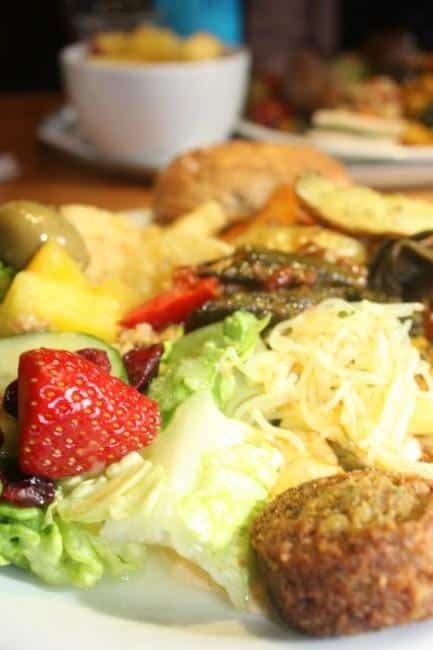 There are so many vegetarian and vegan places in the city, you won’t have trouble finding places to eat! In fact the biggest issue here is choosing *where* to eat. Here I’ve compiled a list of my personal favourites, after having sampled most of the vegetarian eateries in London. 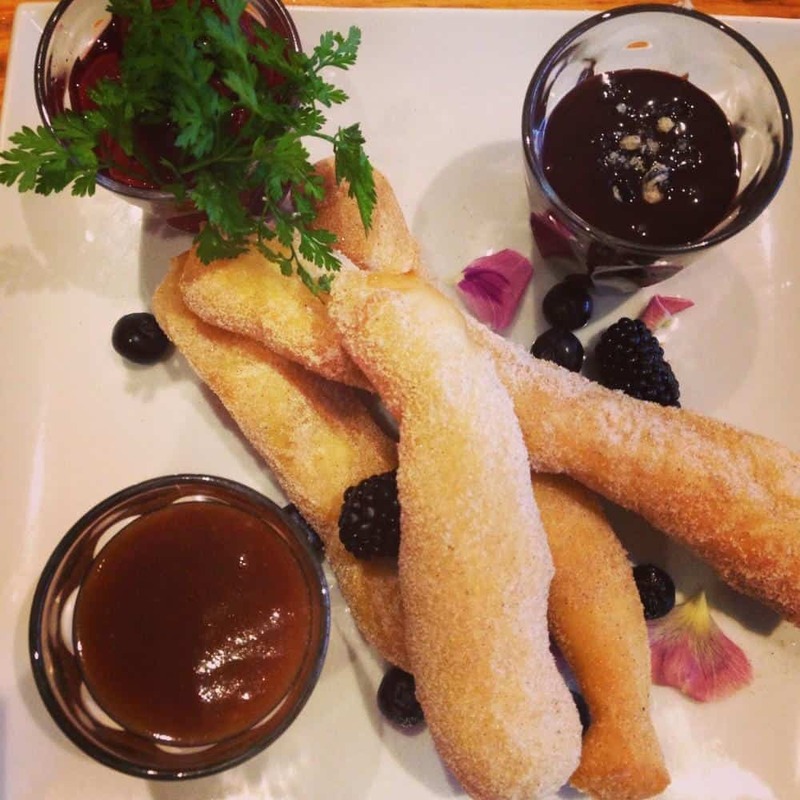 These places are fully vegan (yay!) and my favourites. Manna’s the oldest vegetarian restaurant in London and for a number of years now it’s been completely vegan. It’s a little on the pricier side (around £12-15 for a main course/entree) but the food is good and the ambiance is lovely – perfect for a romantic date! Would recommend the ‘manna meze’ which is a plate of 3 starters served as a main. Japanese vegan (the first in Europe, apparently!). Be warned that this is a specific style of Japanese cooking which doesn’t use a lot of spices, so some people find it on the bland side. A Chinese restaurant with an absolutely huge menu (we’re talking hundreds of items), plus the non-vegans I’ve taken there all said the vegan meat was very realistic. This market stall/cookie bar is pretty much the best thing ever. Cookies! Brownies! Vegan! Gluten free! Oh, and did I mention MILKSHAKES? You can blend ANY cookie into a vegan milkshake! And add in bourbon vanilla sauce or homemade toffee sauce or homemade salted caramel mix! Oh, and there’s this totally amazing marshmallow-topped brownie, and if you heat it up in a microwave or oven it goes all gooey and in the centre and ohmygod. Need I say more? No! Just go there! Vx is London’s vegan shop – you’ll find lots of interesting vegan cheeses, doughnuts as big as your face and other yummy junk food here. Also, t-shirts, shoes, and bags. London’s first (and so far only) vegan bakery, Ms. Cupcake makes amazing cupcakes. And other baked goods. But if you’re going to a cupcake shop you should really have at least one cupcake. Long-standing vegetarian restaurant in London (open since 1989) and now with a second location. A favourite in central London, you should definitely get a burger here. But be warned that you may have to wait a long time for a seat – it’s popular and gets really busy, and they don’t take reservations! This buffet in central London is my ‘go-to’ place when I have visitors because there’s something there to please every palate. Warning: don’t let your eyes exceed your stomach, or get too greedy, because it can get expensive quickly – it’s pay by weight! The Gallery Cafe is a social enterprise cafe that does loads of events as runs exhibitions for up and coming artists. Oh, and they do a great full English breakfasts and waffles with chocolate sauce if you have a sweet tooth like me. If you want a ‘typical’ English experience… These two sister pubs serve up traditional English fare like sausages and mash (mashed potato), tofush & chips (their version of vegan fish & chips) and Coach & Horses do vegetarian and vegan versions of a Sunday roast. Your best bet for a budget lunch option (usually £5 or under) is going to a market like Camden, Borough and Spitalfields/Sunday Upmarket on Brick Lane, all of which have vegetarian and vegan stalls! 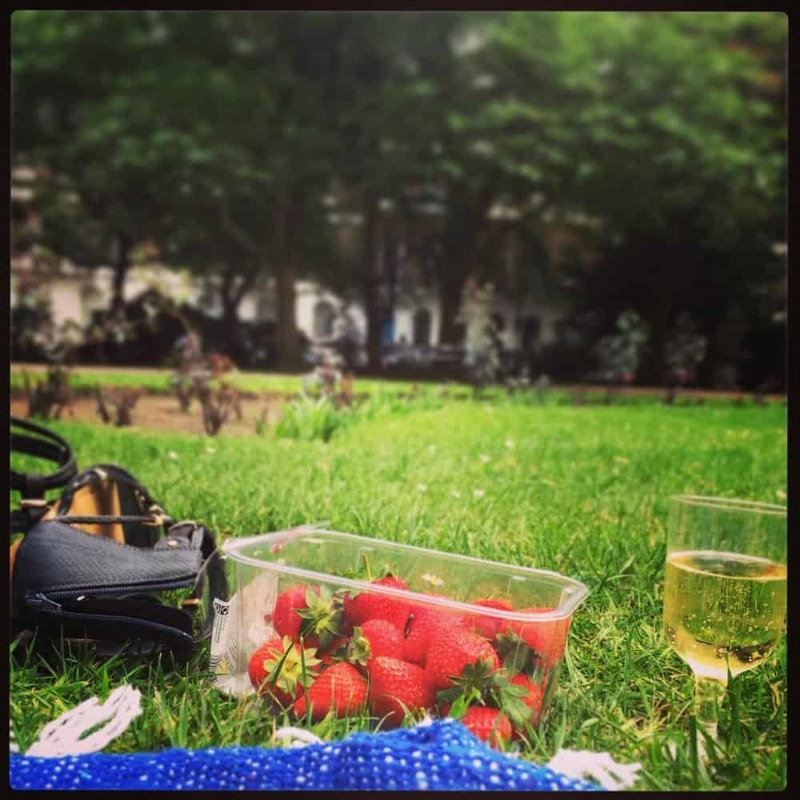 You can have a lovely picnic in any of London’s parks (provided the weather’s good) but I’d recommend St James as my favourite, particularly for visitors to London. It’s got beautiful lakes surrounded by weeping willow trees and views of Big Ben. Stock up on supplies from a supermarket (tip: Sainsbury’s label own brand products which are vegan!). If you’re in London awhile and fancy a day out Brighton, only an hour outside London, is a seaside town famous for its vegetarian and vegan options, and alternative scene. You can easily spend the day checking out the shops, antique stores and all the veggie places. 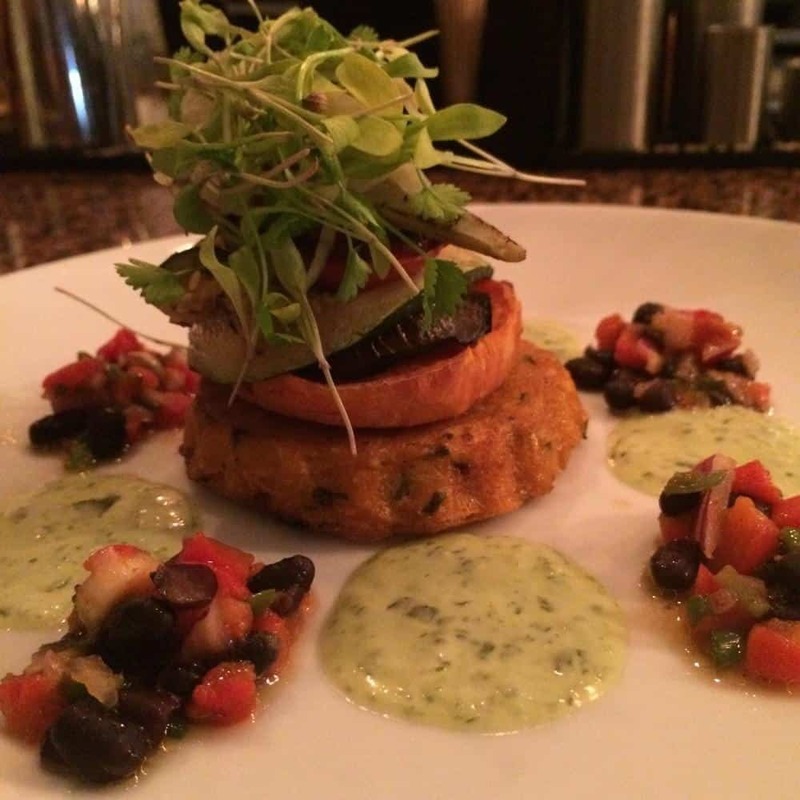 Don’t miss Terre a Terre, an amazing vegetarian restaurant, while you’re there. They’ve got loads of inventive dishes – always with very unusual descriptions – and eating there always feels like a culinary adventure. Worth the trip for their churros alone. Want to download this guide as a printable PDF with restaurant addresses & opening hours? Click here to get your FREE copy of the Vegan London Travel Guide! Do you think I missed anything? (I’m sure I forgot somewhere!) Have you been to all these places? The Essential Vegan Travel Guide: A World Blog Tour (+ GIVEAWAY!) 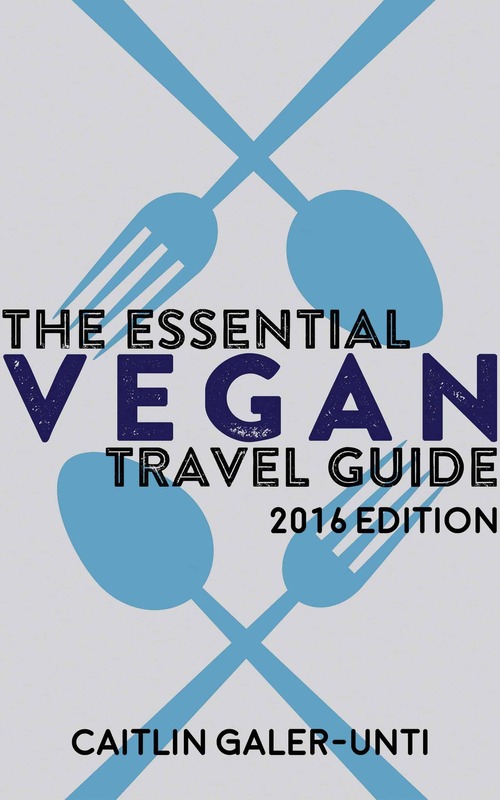 Vegan Prague Guide (Plus How to Find Vegan Breakfasts on the Road) Tibits (or where to take a non vegan to eat in London) Sale on The Essential Vegan Travel Guide 2017! I’ve been to Mildred’s twice, but that’s the only place on this list that I’ve visited! The other vegan/vegetarian places I visited have closed since the last time I was in London – Blah Blah Blah & Rootmaster. Clearly I need to go back soon and visit more of these places! Ahh, I miss Rootmaster so much! It was right near where I now work, and I’m so sad it’s not there for after-work dinners. You should definitely come back and sample the new places! I loooove Itadaki Zen! Still haven’t made it to The Gate (I’ve heard really mixed reviews), but I will get there one day! I’ve had both good and bad experiences at The Gate, I think it depends a lot on what you order, but all my recent visits this year have been really good! Thanks for this, it’s helpful to have so many places gathered in one place! I love visiting London but it’s so darn expensive to get there! You should definitely come back when you have a chance! It’s hard when you’re first vegan and not really sure how to travel (hoping my MoFo series will help out some new vegans with that!). I’ve only been in London since 2008 but loads of new restaurants have opened since then (and a few closed) so there’s definitely lots of new things to see anyway. Great round up of London, I’d never made it to the Gallery cafe before I moved away from London but will definitely have to go check it out when I’m next down, especially if they have waffles! Thanks! 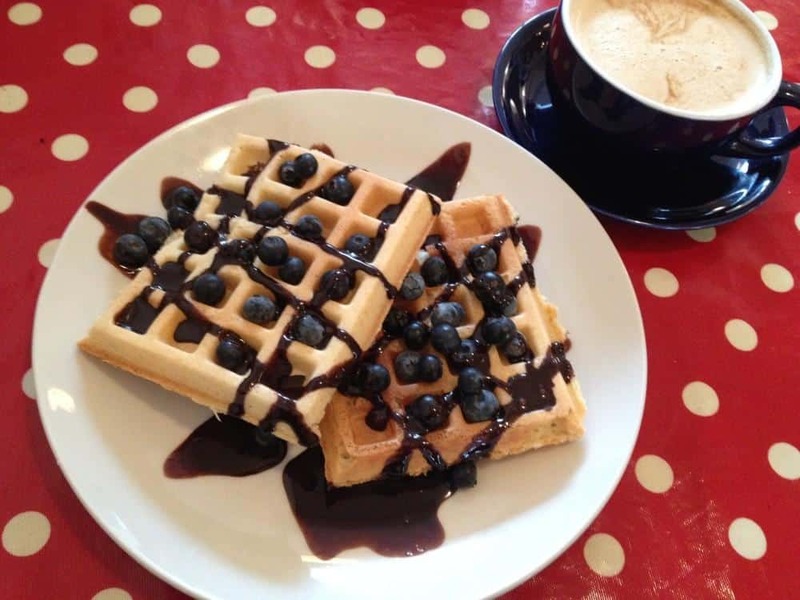 The waffles are a relatively recent addition (in the last year, I think) – definitely get down there when you’re next here, I think they’re the only place in London that does vegan waffles so I was really excited when they came out with them! Oh god yes, Boho is amazing! 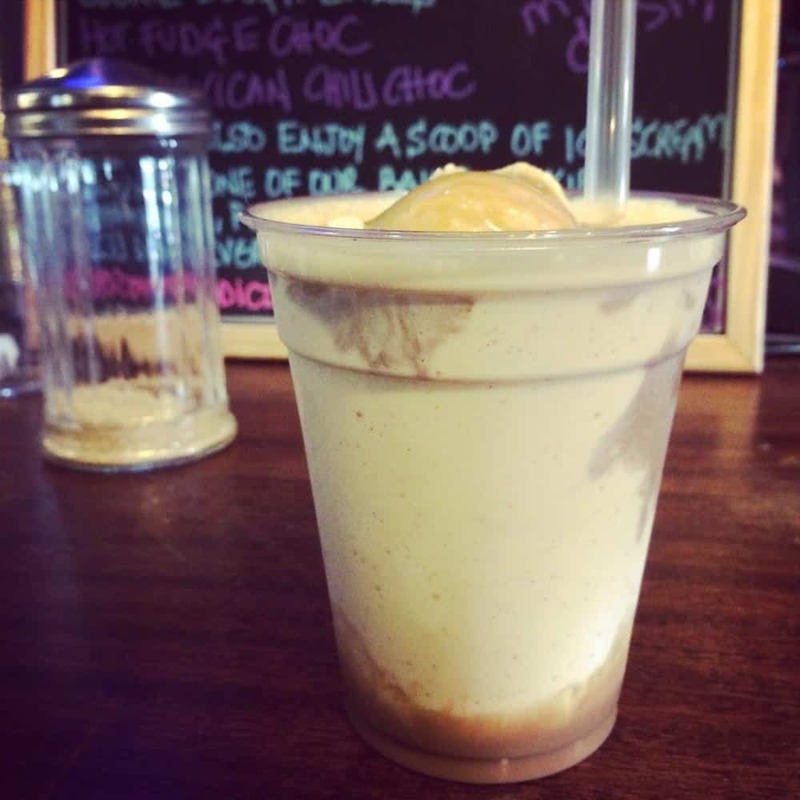 Peanut butter sea salt caramel…mmm. Last time I was there they had vegan brownies too. So good! Yay, comments are back! Hahaha, yes, I nearly got attacked by a squirrel in St James Park who attempted to climb up my leg! Oh yes, Cook Daily, I never got a chance to try it before moving to Barcelona and I still haven’t managed to get there on my visits back – an oversight I really need to fix! Great guide and delicious food! I like the info shared by you. Thanks a lot for sharing the wonderful article.